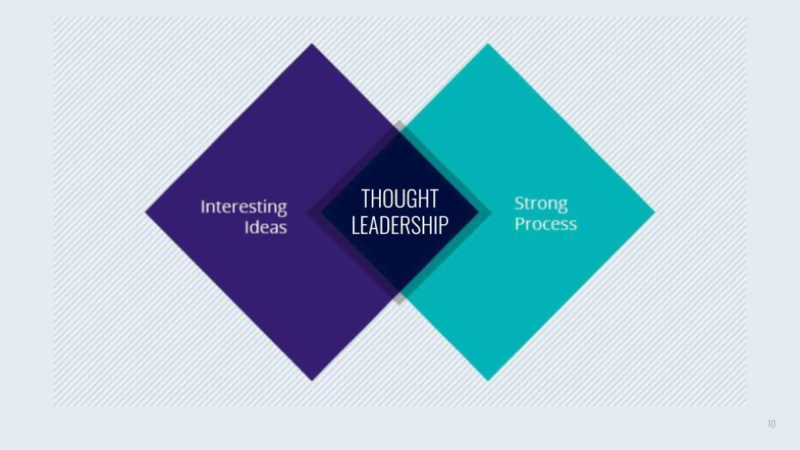 Thought leadership isn’t about how big your team is; it’s about how big your ideas are. I’ve worked with “content teams” ranging from just the founder of a small business; to small, nimble teams of marketers whose time is stretched and resources are limited; to massive global marketing teams with multiple people in multiple times zones who do nothing but generate content focused on one tiny step of their sales funnel. But the really great content brands have one thing in common, no matter their size: They are able to leverage their people’s deep expertise in the subject matter and connect deeply with their “why” for being in business in the first place. Their blogs and white papers are considered on par with the best industry pubs. People forget they are reading “marketing” and allow themselves to fully absorb the ideas behind the content. The payoff for this approach is enormous, yielding benefits far beyond marketing and sales. It becomes a way to publicly reward and incentivize your team for their commitment to continuous learning and deep critical thinking. Let’s talk about how to uncover the big idea behind your “why” and use it to power your thought leadership program. And this isn’t something you find locked up in your office meditating on your business. Too much navel-gazing will kill your thought leadership program. You’re going to need to cast a wide net if you want to get the good stuff. If your goal is thought leadership, you’re going to have to actively look for ideas and connections throughout the company. For example, Allocadia is a small tech company that helps companies streamline financial reporting on their marketing spend. Of course, they have plenty of smart marketers working there. You know who else at Allocadia is smart? Their controller. 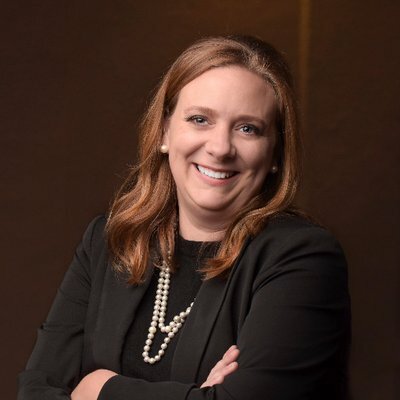 Since building ties between marketing and finance is their “why,” they featured her on the blog, too. Your homework: Identify 3-5 people who you think would have a fresh perspective on the “why” of your organization. This could include employees, customers, and partners. Look for unique connections. Need help uncovering your why? Check out How Uncovering Your Core Values Can Light the Path to Purpose. Once you have clarified your big idea, you’ll need a strong team and a process to turn it into awesome content. A written plan. The details may change, along with who does which part, but the core ingredients and steps should be established upfront. A system of accountability. Project management software will help track deadlines and assignments and identify where the bottlenecks are. Simple tools like Basecamp or Asana are plenty to help you get started. A few templates. Set up templates for regularly produced pieces of content like white papers, case studies, blog images, etc. PreCheck, a small health care background screening company, uses all of these ingredients to produce an award-winning blog with a lean marketing team. The secret, according to their marketing manager, Bryan Barajas, is the PreCheck Blog Start Packet that they share as part of their employee onboarding process. It contains topic ideas, a list of words to avoid in their content, and even a blog writing template. This approach takes a bit more work upfront, but it saves time down the road. The idea is to remove roadblocks to content creation, so your people can focus only on developing the quality of their ideas. 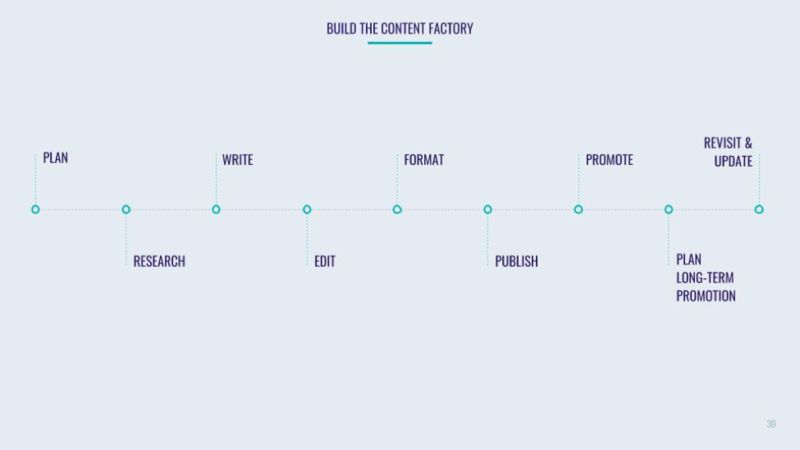 Your homework: Diagram what your content factory might look like. Who keeps things moving? Where do bottlenecks happen? Where can you draw in new people to help? Make it a team effort. Creating great content isn’t enough. You’ll need to actively encourage your team to share the content you produce for maximum impact inside and outside of your organization. First, don’t assume your staff will instinctively pass along your content. You’ll need to establish an internal promotion strategy as well as an external one. Sharing might be caring, but you can’t assume people will just pass along your content, no matter how awesome it is. One of the most efficient ways to encourage social sharing is to send an internal email newsletter. Similar to the marketing emails you might send prospects and customers, this one is just for your team and highlights their colleagues’ work. Within that newsletter, you can even share sample language they can use. Many employees will hold back from sharing their employer’s content, worried they might say the wrong thing. Make it easy for them by providing sample text they can use on LinkedIn or Facebook, for example. Winston Benefits’ small marketing team saw an immediate, sustained uplift in social sharing of their content when they started providing team members with pre-written social content to share on their personal profiles. Finally, reward team members for sharing. What gets measured gets rewarded; what gets rewarded gets repeated. Make the creation and sharing of branded content part of everyone’s job and track the reach it generates. Your big idea will be circulating far and wide in no time! Want even more purpose-driven leadership articles delivered to your inbox? Subscribe! Mary Ellen Slayter is CEO of Rep Cap and publisher of Managing Editor magazine. She launched Rep Cap after working as a journalist at The Washington Post and SmartBrief. She has a master’s degree in journalism from the University of Maryland and a B.S. in agronomy from Louisiana State University. Mary Ellen serves on the boards of the LSMSA Foundation and her Mardi Gras krewe. She lives in Baton Rouge with her husband, two daughters and one lazy dog.